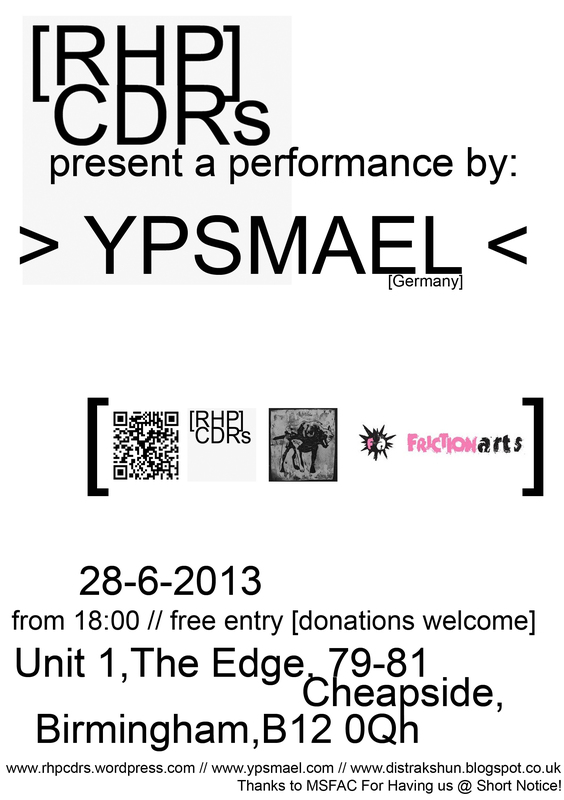 We’ve organised a performance by YPSMAEL to take place in MSFACs Studio @ The Edge, Cheapside in Birmingham this coming Friday! Expect gleaming soundscapes, hazy drone swells and noise washes, driven by elements of electroacoustic improvisation, instant composition and visual art. Except for the odd field recording, everything you hear is played live. Instead of a laptop, stompboxes are used to treat voice, baritone guitar or bass, reeds, amplified objects, homemade electronics and audio feedback.